Use compressed air to dry piston crown. Inspect the ring groove lands and steps for any evidence of overheating or cracking. Replace damaged parts. any one area, the piston crown (12) must be replaced. piston crown (12) as necessary. Measure the piston crown (12) as follows. 2.7095 in. (6.88213 cm) Replace damaged parts. of 4.8134 in. (12.22603 cm) Replace damaged parts. Measure the diameter below both compression rings. It should measure a minimum of 4.823 in. (12.22603 cm) and a maximum of 4.8303 in. (12.26896 cm) Replace damaged parts. Measure the diameter above and below the seal ring groove. It should measure a minimum of 4.4650 in. (11.3411 cm) and a maximum 4.4750 in. (11.3665 cm) Replace damaged parts. 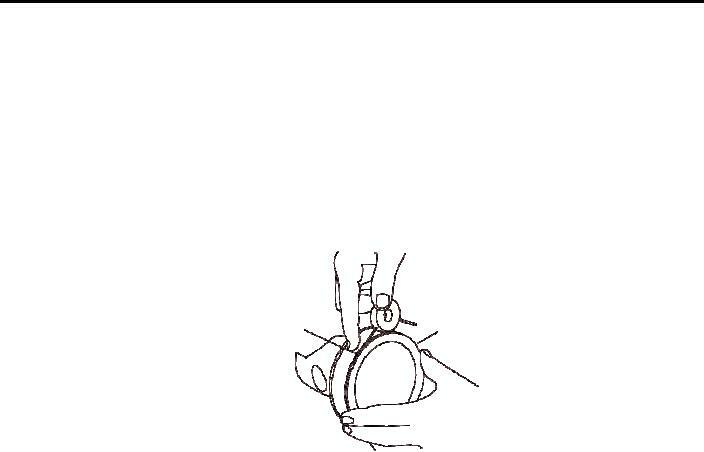 Measure the diameter above and below the bearing saddle. It should measure a minimum of 3.2360 in. (8.21944 cm) and a maximum of 3.2370 in. (8.22198 cm) Replace damaged parts. 6. Measure the piston skirt (11) as follows.